‘Tis the season for holiday-themed festivals and while craft shows and Christmas parades abound, here are a few unique events where you get to join in the fun. There’s something particularly amusing about being surrounded by hundreds of Santas; boy Santas, girl Santas, tall Santas, short Santas, fat Santas, skinny Santas, pantless Santas (it happens). Here are two Colorado mountain festivals for folks who love Santa Claus and who like dressing up like the fat old fellow. I’ve attended this event and can personally give it two white-gloved thumbs up. 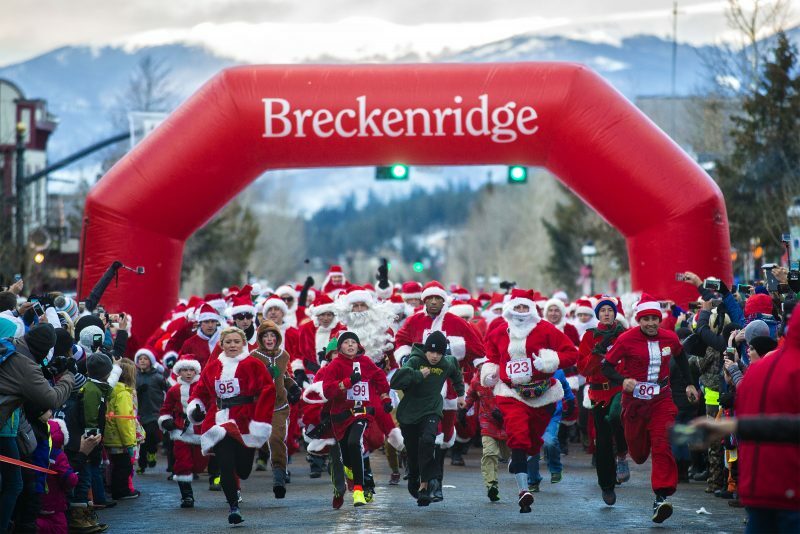 Race of the Santas is part of the Lighting of Breckenridge, a beautiful weekend tradition that involves the conversion of Breckenridge from a charming Victorian town to a charming Victorian town covered in holiday lights. 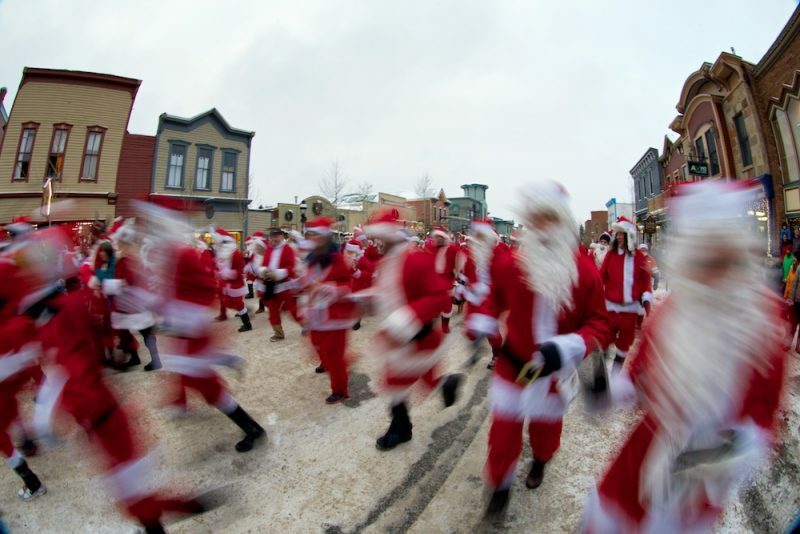 The Race of the Santas is seven blocks (0.75 miles) and contestants must dress like Santa. Some Santas who enter this race are serious runners while others, the Santa’s with a flask tucked into their black boot, are just there to have a good time. You must register for this race by Friday, December 1, 2017. 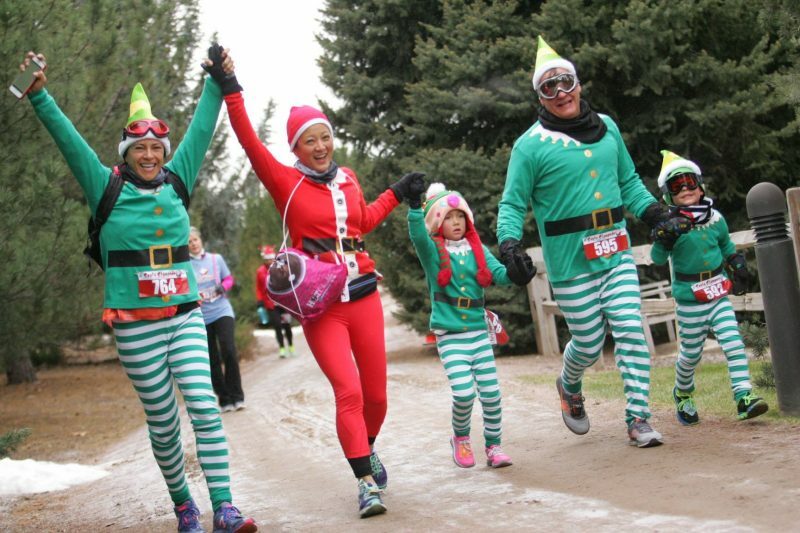 The race takes place on Saturday, December 2 at 4:30 p.m. Santa suits are for sale at the Breckenridge Welcome Center and Vertical Runner, a local running store. Contestants may also wear their own Santa costume. Click here for more information on the Lighting of Breckenridge and Race of the Santas. If you’ve never visited Breckenridge during the holidays, it’s truly magical. 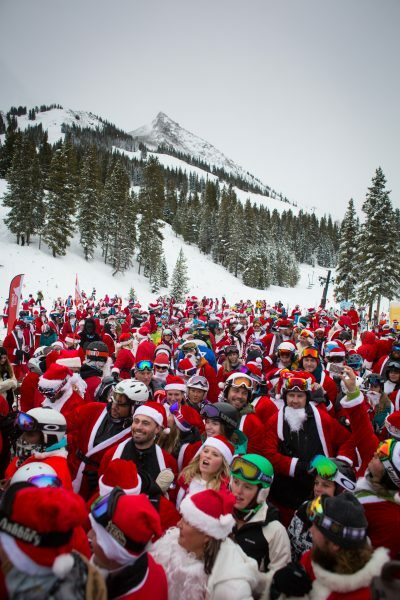 Be part of history in Crested Butte this December and help break the World Record for the most skiing Santas at Crested Butte Mountain Resort. You can ski, snowboard or snowblade, but you must be dressed as Santa. 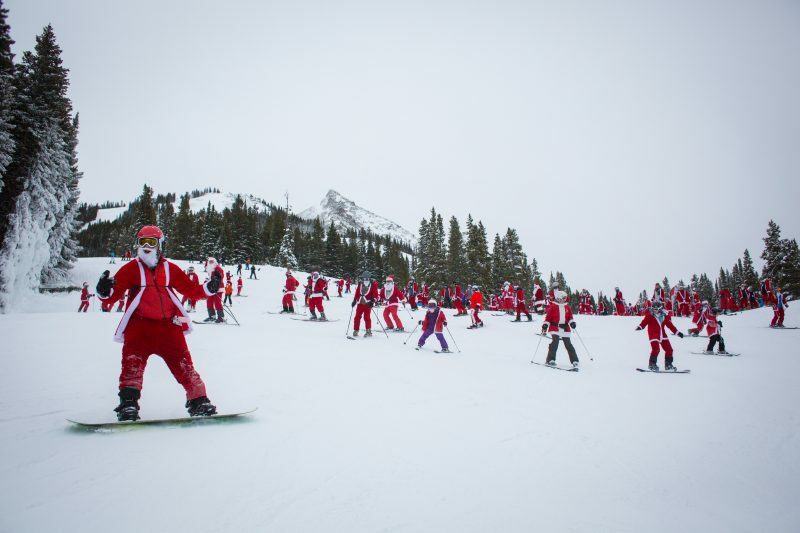 This fifth annual event will attempt to break the record they set in 2015 which was 827 skiing Santas. Will YOU be number 828? In addition to the event, this is a festive weekend to be in Crested Butte. There’s a Santa Pub Crawl for drinker Santas as well as $25 lift tickets for skier and riders decked out in full Santa suits (valid 12/9/17 only). This is also the weekend of Crested Butte Mountain Resort’s Light up the Night and annual Christmas Tree lighting, so it’s a good time to be in town. Register for the race here. Okay, so this is less of a fest and more of a race, but I thought I’d throw it on this list for good measure. This 5K and 10K winds along the banks of the South Platte River in Littleton, Colorado, just southwest of Denver. 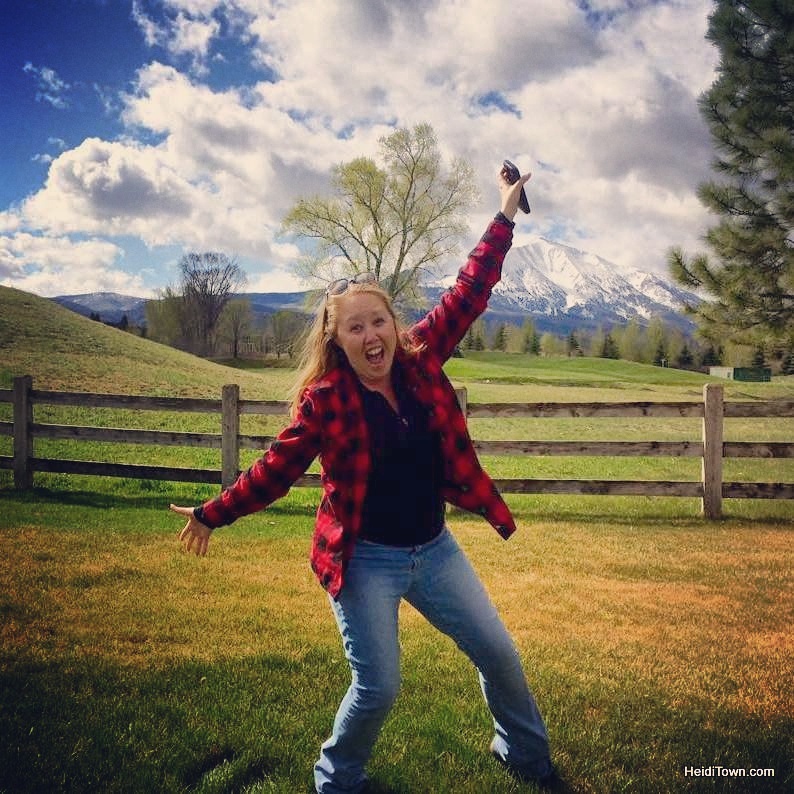 The entire family is encouraged to join in this Colorado Runner Events race. All runners get a Santa hat with registration, but participants are encouraged to dress up as well. The race’s start and finish grounds are located at Hudson Gardens and will feature more than 20 vendors. There will be a festive, holiday atmosphere. To register for this family-friendly fun run go here. While most Friday festival posts are sponsored, this is not a sponsored post.